Margin: Won with a 3.9% margin in the 2016 election. Redistribution has turned this into a flat 50-50 seat, making this the government’s most marginal currently held seat. 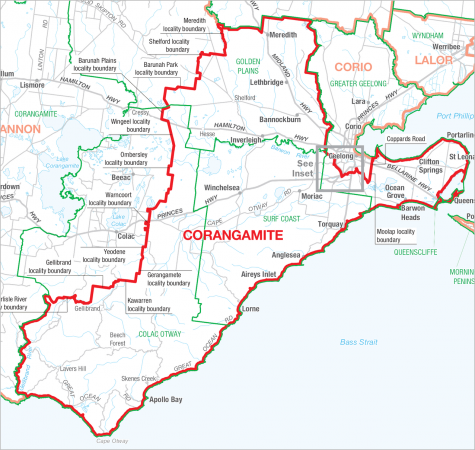 Redistribution details: After the redistribution, Corangamite lost to the following areas to Wannon – Colac, Beeac, Cressy, Linton and areas east and north of Lake Corangamite.. The Geelong suburbs north of Waurn Ponds Creek and the Geelong Bypass have been incorporated into Corio. Corio lost Moolap, Leopold and the Bellarine Peninsula to Corangamite. Key Comments: This is the government’s most marginal seat, nominally an ALP seat after redistribution. It has traditionally been a Liberal seat, the only exception was between 2007 and 2013 when the seat was held by Labor’s Darren Cheeseman. A recent poll found 83% of Corangamite electors considered education to be a crucial issue in this election. 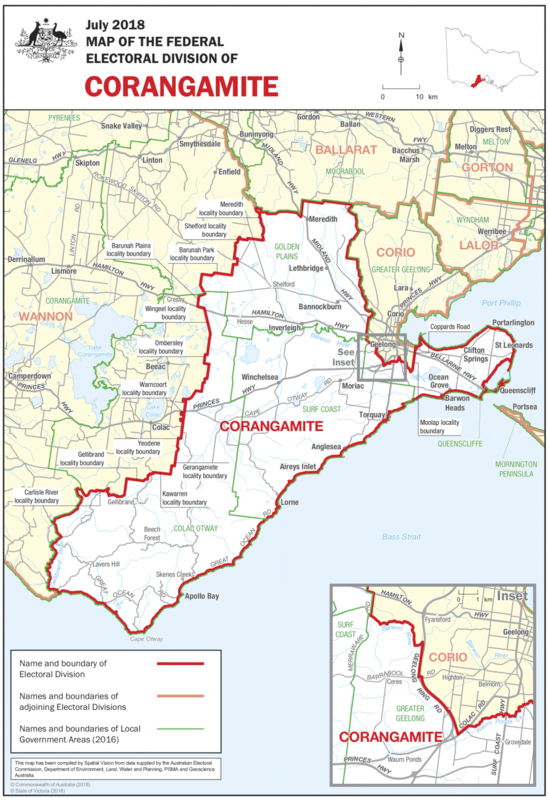 A seat held by the Liberal party without interruption from (1934-2007), Corangamite has traditionally been a safe seat for the party. Independent candidate for Corangamite Damien Cole is hoping to pull a surprise upset in the May 18 Federal election overcoming both the incumbent Liberal Sarah Henderson and her ALP opponent Libby Coker. This is Libby Coker’s second attempt to take the seat, having nearly succeeded in snatching Corangamite at the last federal election. Sarah Henderson will be attempting to win her third term as member for Corangamite, but it will be an uphill struggle, courtesy of a redistribution of her electorate. Sport and recreation facilities are at the top of the agenda in the marginal seat of Corangamite with both the Liberal and Labor candidates focussing their campaigns around local community groups like local surf life saving clubs and recreation centres. 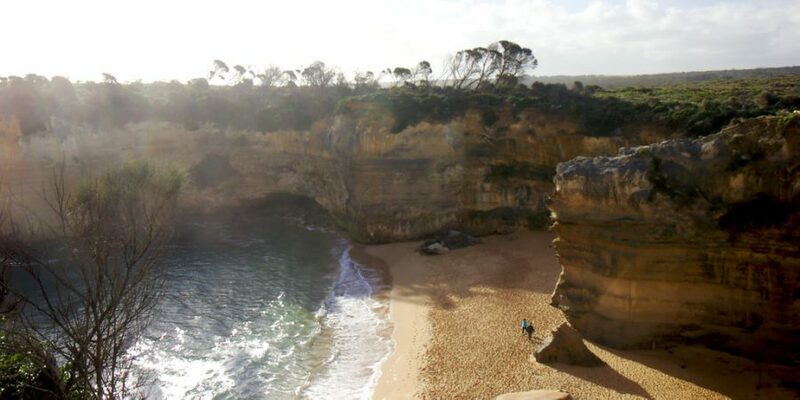 Ocean Grove is set to receive a stand-alone Headspace facility, regardless of which party comes out on top at the upcoming federal election.